OMG Posters! » Archive "Modern Problems" Art Print by Ryan Patterson - OMG Posters! Here’s a cool new one-color art print by my man Ryan Patterson (you might know him from the bands Coliseum, Black Cross, etc). 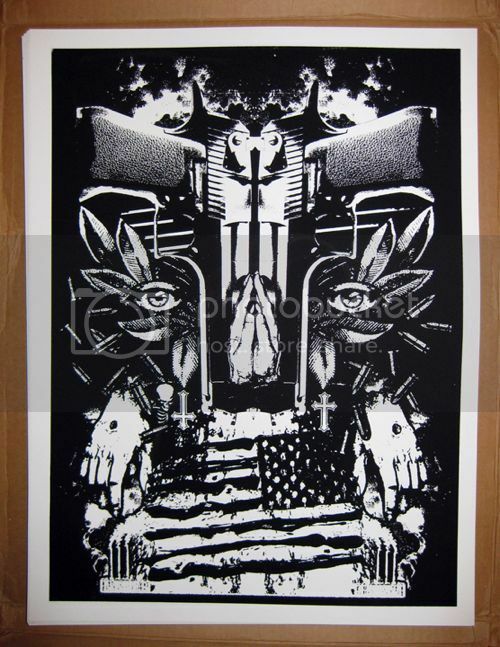 This is an 18″ x 24″ screenprint, has an edition of 50, and is only $18. Visit Shirtkiller.com.